Protecting files with passwords is one of the methods for securing private and important information from others. Using the encryption function in any software that can backup files or operating systems also helps to ensure its integrity — that no one except you has modified or accessed the encrypted files. Several programs in the market provide files and data recovery software with encryption features and below you will find a list of the top recovery software to consider. Easeus Data Recovery Wizard is recovery software that can recover encrypted files or folders. You can even work with the encrypted files just like the way you work with non-encrypted folders or files. Data Recovery Wizard is offered with free and paid licenses and it runs on Windows 7, Vista, XP, Windows 2003 and 2008 operating systems. You can also use this program to recover already deleted files. One of my favorites is Diskeeper’s Undelete recovery software that has been updated to support Windows 7 in addition to Vista and XP. Recovering deleted files that are encrypted can be easily done using the Undelete recycle bin. It can also shred or secure wipe free disk space in Windows and you have the option to use the new feature, SecureDelete that can securely delete even files that have been purged. GetData’s Recover My Files program is also a recovery software to check out. The program works as the application name says and it provides an option to any files – encrypted or non-encrypted – in any location of the computer. Acronis True Image – Home or small business users should check out this program that provides the option to backup files or the entire drive that you can password protect before storing to local, external or network locations. True Image includes an option to explore and recovery files in the backup location. You can restore a copy or recover those files even it if it’s on encrypted state. 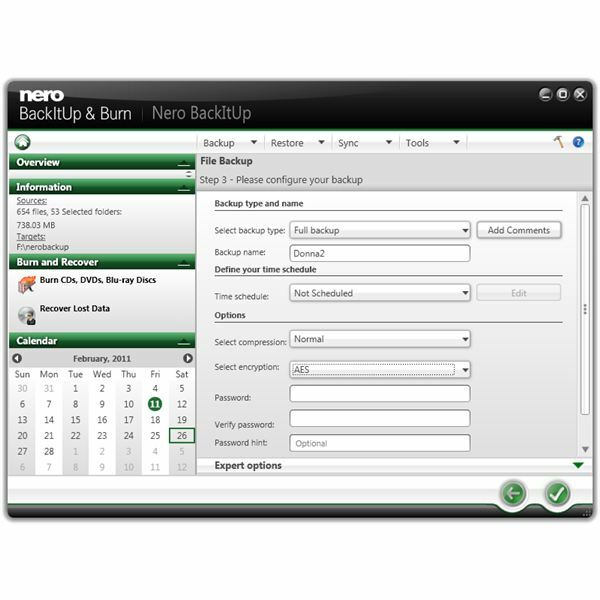 Nero BackItUp – Never lose any files using Nero BackItUp that can encrypt files and folders and also recover. BackItUp also includes Nero Express to create backup on a CD, DVD or Blu-ray discs using normal backup method or the SecurDisc technology to improve reliability and security of data. Symantec’s Norton Ghost – When we hear backup, we think of Norton Ghost because it is one of the oldest and powerful recovery backup program for Windows. Like other backup programs, Norton Ghost provides an option to recover files from a non-encrypted or encrypted backup. Check the comparison between Norton Ghost and Acronis True Image if you are torn between the two widely-used programs. Image credit: Screenshot taken by the author.